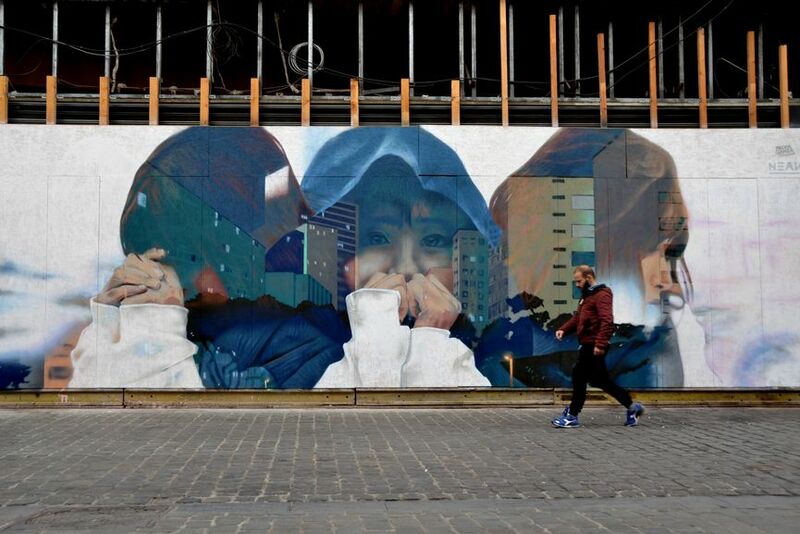 No matter where you go in the world, Street art is an omnipresent aspect of the urban landscape. In Belgium, street art is bright and bold and commands attention. 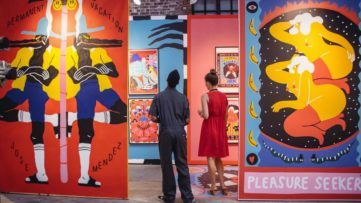 The country vibrates in the colors of a variety of murals that cover its walls, and Belgian artists find their place today in the streets as well as in museums and galleries. To honor this vibrant art scene, Galerie Martine Ehmer will present an evolving exhibition in several parts that will present the diverse universes that make up the movement. As the first exhibition of the series, the show LEAVING SIGNS #1 will present Belgian artists Kool Koor, Dzia, Eyes-B and Nean. Growing up in Brussels as a member of the Kingdom crew, Nean has found a passion for the graffiti treatment of the portrait very early in his career. 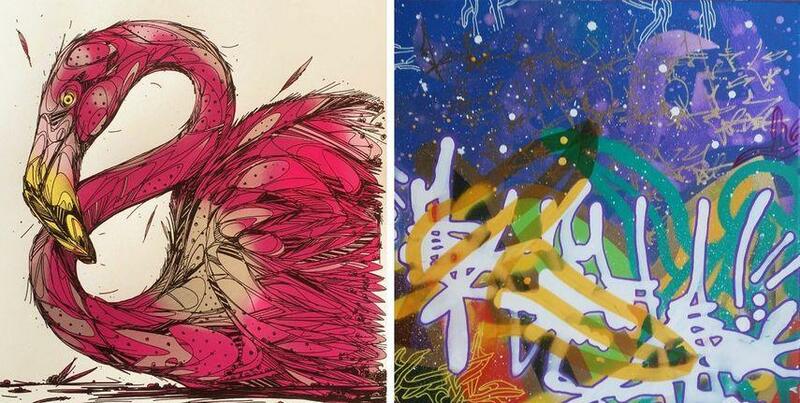 In 2014, he joined the collective Propaganza, bringing together twenty artists from Belgium, France, Span and England. 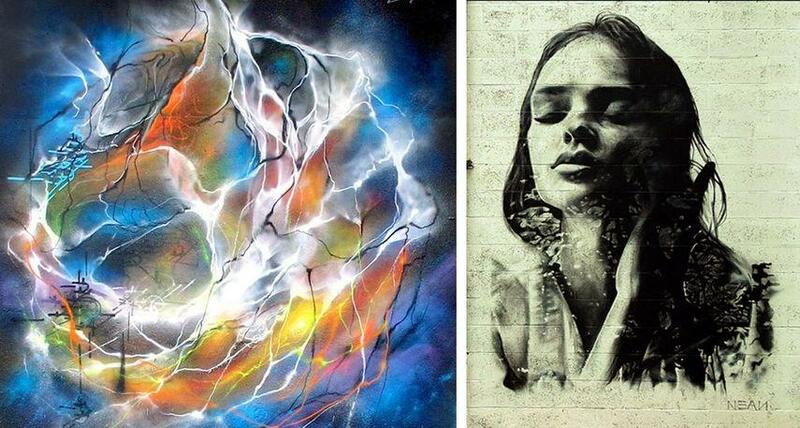 Influenced by traditional pain­ting and digital art, his work balances between an experimental and photorealistic style. In his work, he often explores the passing of time and the artifices of memory. 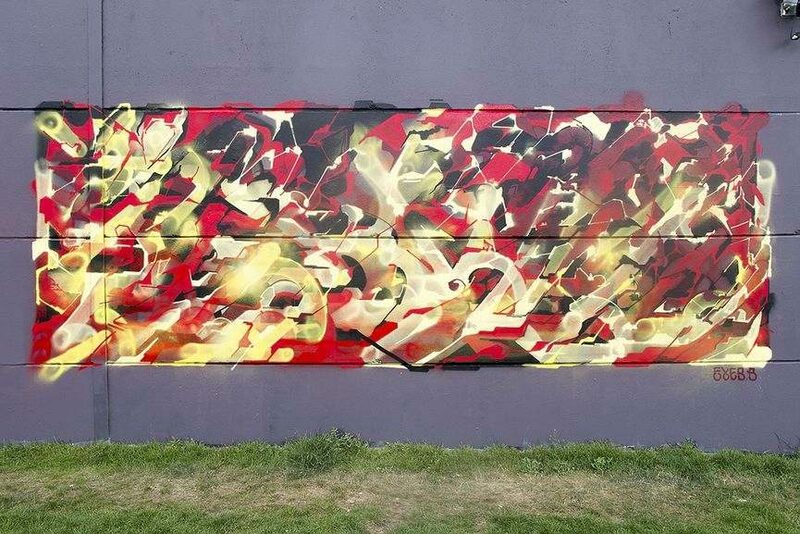 A painter and graffiti artist based in Brussels, Eyes-B is known for his freestyle technique inspired by digital arts, graphics and macro photography of organic elements. 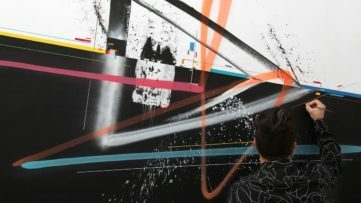 With music being a significant part of his working process, his abstract pieces are characterized by rhythm, silence, repetition, pause and dynamics. Creating different layers inspired by the superpositions of sounds, the artist is often described as the conductor of the orchestra. 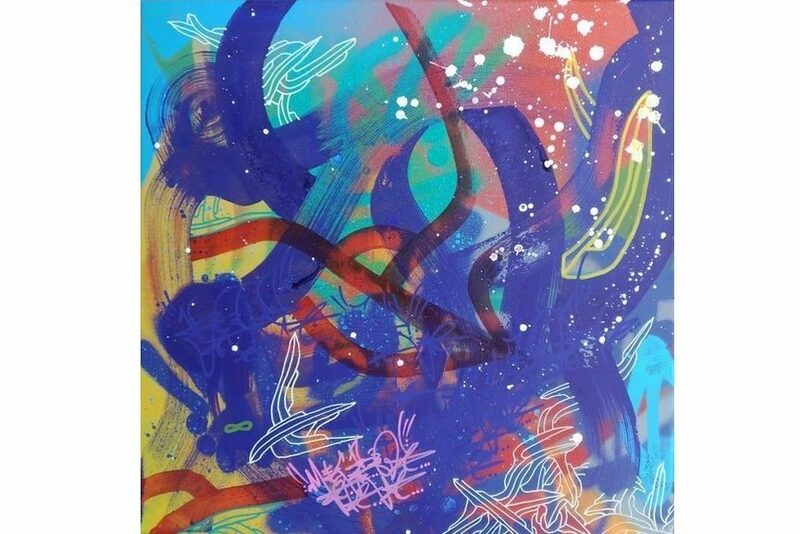 A New York-born artist based in Brussels, Kool Koor is considered as one of the original graffiti pioneers of the NYC scene, along with fellow artists Rammellzee, A-One, Quik, Dondi White, Crash and Futura. Growing up in the South Bronx, he started his career by writing tags on the subway trains and throughout the urban landscape. Today, he is known for his unique and recognizable space-age-inspired works, ranging from surreal scenes to intricate works of abstraction. He sees his twisting structures as a direct result of a perfect coexistence. A Belgian artist that remains an enigma in the Antwerp area, Dzia has a highly diverse output ranging from paintings and sculpture to taxidermy and street works. 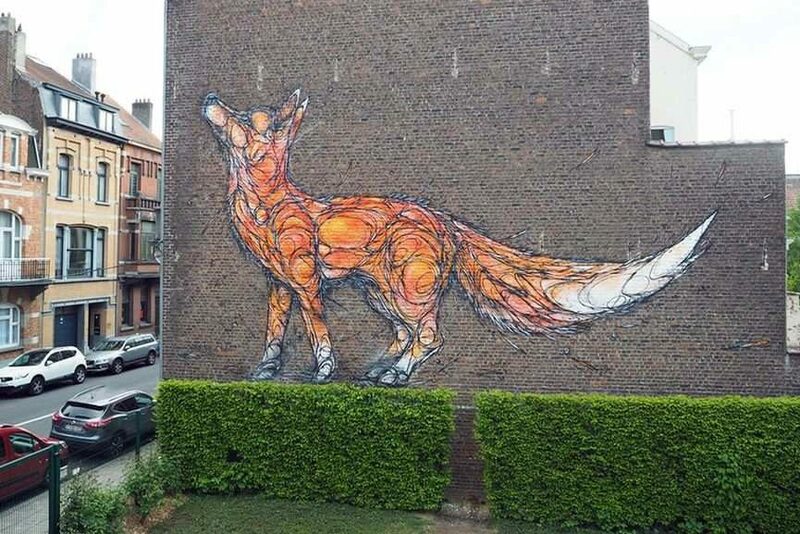 His animalistic murals can be seen all over Antwerp, breathing new life into abandoned urban areas. 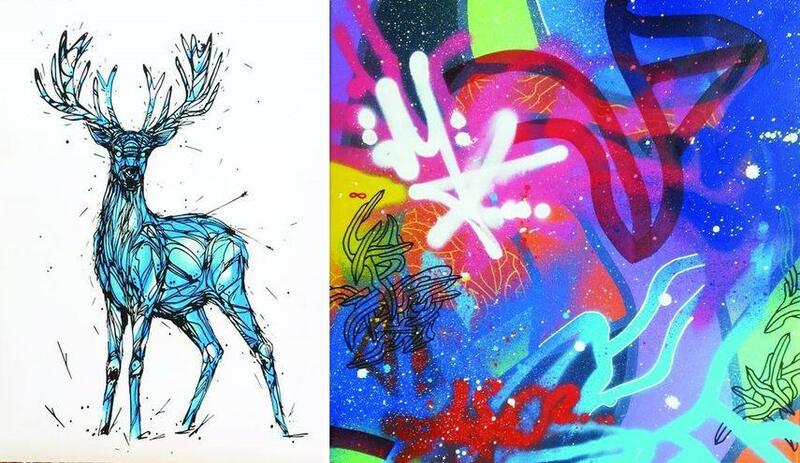 Implementing abstract and geometric lines into animalistic forms, the artist has created a truly unique graphic style. 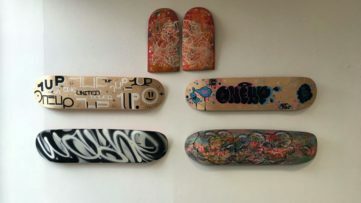 The exhibition series at Galerie Martine Ehmer aims to testify the history of Urban Art which is being written every day in our cities. The first edition of the series, the exhibition LEAVING SIGNS #1 by Kool Koor, Dzia, Eyes-B and Nean, will be on view at the gallery from June 10th until July 16th, 2017. The opening reception will be held on Friday, June 9th from 6 to 9 p.m.Featured images: Nean – Mural Live with me in Brussels 2017; Kool Koor – Micro Flashback #2, 2017; Eyes B – Mural in Brussels; Dzia – Mural in Brussels 2017. All images courtesy of Galerie Martine Ehmer.